Eyelid lift surgery is a cosmetic procedure where we remove excessive tissues from the eyelid so that it appears more taunt and youthful. Because many of the changes in our skin happens over the course of several years, it may be that you’re not sure whether or not you’re ready (or past due) to talk to an oculoplastic surgeon about an eyelid lift. Repetitive smearing of your makeup. One of the most common signs to look out for when you think you need an eye lift is if your eye shadow is starting to smear. When you notice that the colors are becoming smudged or spreading to other areas that you did not apply them to, it could be due to the way the tissue folds after you’ve applied cosmetics. Ptosis (droopiness) of the eyelids. If one or both of your eyes tends to look droopy, it may be due to ptosis of the eyelid. Ptosis is where there is either excessive tissues or lack of muscle tone affecting how well the eye opens. This can happen at any age, even in young children. Difficulty seeing clearly. Too much sagging in the eyelid can actually interfere with your eyesight. If you’ve started to notice that your lid is being pushed down into your normal line of vision, a lift can help. Your normal ophthalmologist or eye doctor may refer you to an oculoplastic surgeon for this very reason! 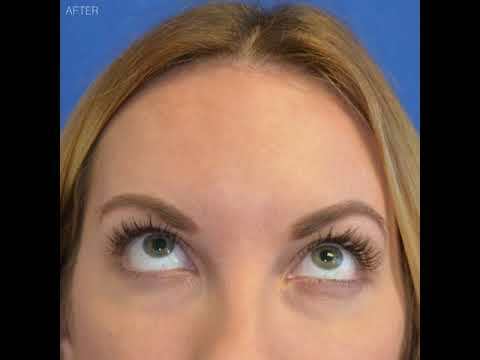 If you’re considering an eyelid lift or other procedure to compliment the appearance of your eyes and face, contact our Oculoplastic Surgery team in Beverly Hills to schedule a consultation.